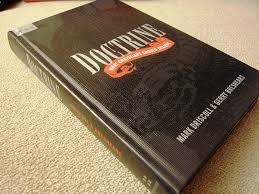 In this section, Driscoll talks about the creation narratives and their implications for us today. At first I am encouraged to see Driscoll treating the issue fairly, as he lays out the most common interpretations of Genesis in a very straightforward manner. From Old Earth to New Earth, from Old to Young Adam, to figurative, big bang, etc., he covers it all. Then Driscoll goes on to tell us which interpretation is best. How kind! We hold to historic creationism, which emphasizes that the first two chapter of Genesis, God’s inspired and inerrant Word, tell us that the God who created everything prepared the land for human habitation in six literal twenty-four hour days. At the end of those days, he shaped the dust and breathed the breath of life into it, creating Adam. From Adam’s rib, God created the woman. They were created to be in relationship with each other and with God as the living Creator and loving Lord. The first question that comes to my mind, aside from the lack of “the woman’s” name in the quote above, is why God had to create man and woman twice. In order to take these passages literally, which would mean we would need to preserve the order of events, God creates man and woman in Genesis 1, rests, and then creates them again in Genesis 2. Why? Driscoll doesn’t offer any explanation. He states the opinion above, and then moves on to state that many Christians disagree on which interpretation is best. The problem with taking the scriptures literally often is that many passages were not meant to be taken literally. This does not mean that the Bible is not true, it just means that it doesn’t claim to be historically factual at all times. This even satisfies most forms of the doctrine of biblical inerrancy and infallibility by basically claiming that whenever the Bible claims to be fact, it is factual. And when it claims to be true, it is truthful. Here is the rub. We do not understand the difference between historical fact and truth. 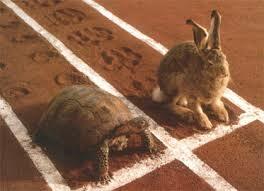 An example to illustrate the difference would be the fable of the tortoise and the hare. When we hear or read the story, we do not immediately dismiss it because, “Psht! That never happened!” Instead, we recognize that the story tells a truth, not a historical fact. All of the disputes around Genesis 1 and 2 can be remedied by admitting that the authors, (yes, its likely plural), were not interested in giving a historical account of creation. After all, it would be difficult given that they were not there. Instead, they are telling us truths about God. That He was the first cause of creation, that He simultaneously transcends and exists within creation. And that His creation is good.